Will we see the iPhone on Verizon..? I know some of you that have been following my iPhone chronicles either here or at Gear Diary are likely wondering if I’ve lost my mind. I mean, wasn’t it me who has been saying over and over again that a Verizon iPhone was never going to happen..? Well, the answer is yes and no. In my last note about this, I said that Verizon getting the iPhone was unlikely as long as the current version device stuck with its current radio. Verizon uses a QUALCOMM designed CDMA-based chipset for its radio. There are very few countries that have carriers that use this type of radio – the US (Verizon), very small parts of Asia, and (I think) Indonesia/Australia, and that’s about it. The rest of the world is on GSM. So, until a “universal” chipset or network (like LTE) became available AND until Apple made use of that universal chipset, there would be no iPhone on ANY CDMA network, Verizon or otherwise. This has more to do with the costs associated to reengineering and redesigning the entire device and Apple having to support two different devices than anything else. Stevie J. just doesn’t do that. One phone to rule them all… and that kind of thing. My good friend, Matt Miller has come out with a bit of a dissenting piece on this, given all the rumor mongering, and its worth a read. His point – Verizon has an awesome network (and they do; but I think they’re expensive) and regardless of whether or not VzW has LTE, any kind of 4G, the VzW iPhone is white or not, whether you can surf and talk at the same time or not or even if they ARE very expensive, they are still going to sell a lot of iPhones. Matt is dead on right about that. They WOULD sell a lot of iPhones. The question is whether the millions of iPhones they would sell would offset the costs associated with the redesign, retooling, extra manufacturing lines, support costs, etc. and generate enough profit for Apple to do it BEFORE LTE hits in wide distribution on Verizon. My point has NEVER been that there will NEVER be an iPhone on Verizon, but that there wouldn’t be as long as Apple has to maintain more than one version. How many iPhones [does] Verizon [think they will really] sell? 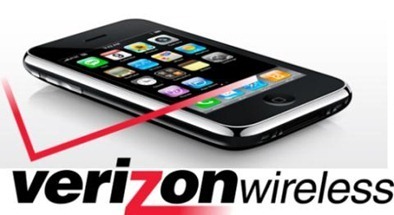 How many AT&T iPhone users [does] Verizon [think will switch to their] iPhone? How well can Verizon’s network handle the iPhone [with/without LTE]? How much will a customer have to pay monthly for a Verizon iPhone? Keep your peepers pinned people! Tomorrow is going to be an INTERESTING day!